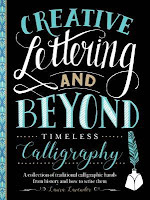 Discover everything you need to know about historic flourished hands and how to create elegant, modern artwork inspired by traditional calligraphy techniques in this follow-up to the first and best-selling lettering book in Walter Foster’s Creative Lettering and Beyond series. Beginning with an introduction to pointed pen and how to get started with this timeless tool, you’ll find a brief overview of the recommended tools and materials, as well as how to set up your work space. In addition, you will explore essential techniques used throughout the book, learn to hold the pen properly, and find tips for warming up. Talented artist and teacher Laura Lavender introduces you to a wide range of traditional, historic flourished hands and lettering styles, including Copperplate, Spencerian, Italian hand, Bickham script, Victorian embellished capitals, Art Nouveau capitals, Gothic capitals, and more. Each style includes an engaging introduction and history of the hand, an alphabet sampler, step-by-step instructions for creating the letters, and lots of inspirational examples and ideas for using the hand. Throughout the book, you will also find practice templates that can be copied and used time and again to perfect your technique and style. Creative Lettering and Beyond: Timeless Calligraphy is the ideal guide for learning the techniques of traditional lettering styles. 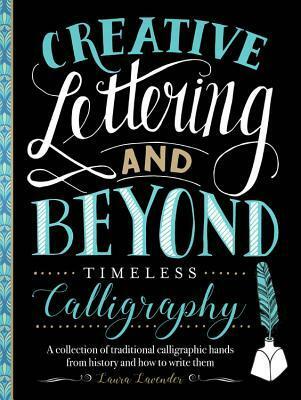 Creative Lettering and Beyond: Timeless Calligraphy is a delightful volume that teaches a variety of traditional lettering styles. There is something here for both the beginner and the adept, as while she commences with a basic introduction, Lavender goes on to breakdown several styles in great detail, allowing practice space within the pages. If you are interested in learning classic, flourishing calligraphy, this is the perfect volume to pick up.